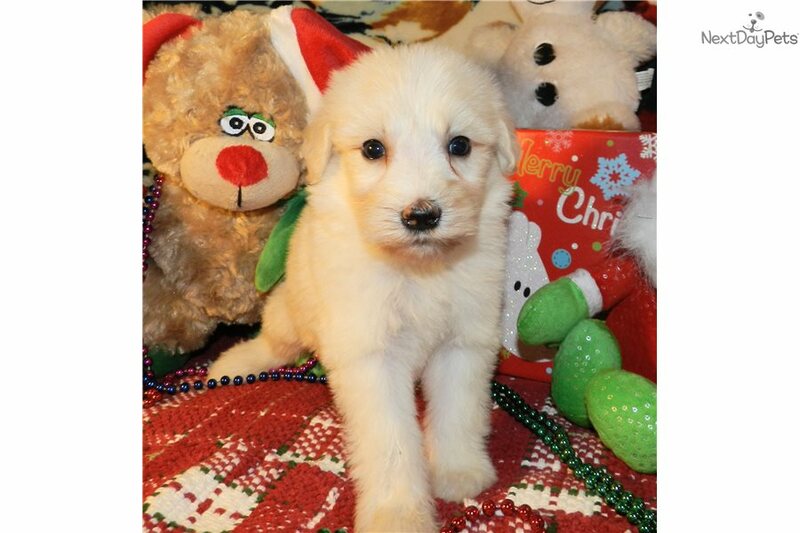 This Sheepadoodle nicknamed Faith sold and went to a new family. 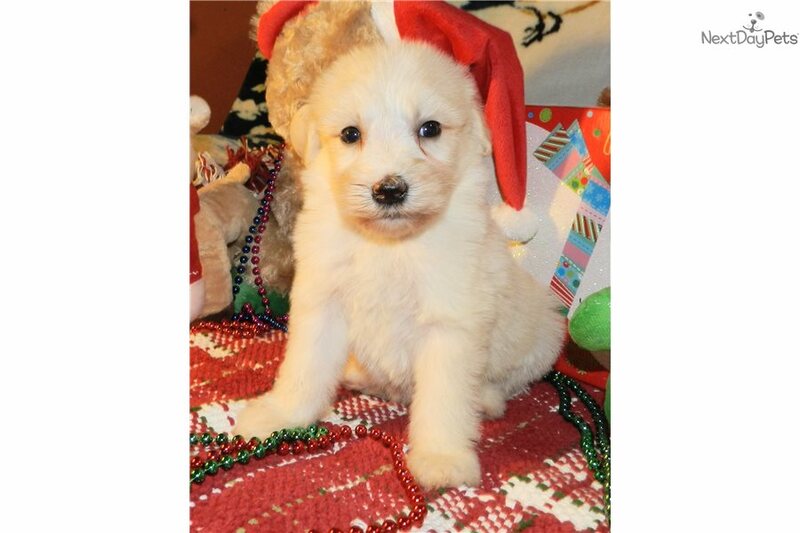 AWESOME LITTER OF SHEEPADOODLES PUPPIES NOW AVAILABLE!! TALK ABOUT FLASHY!!! 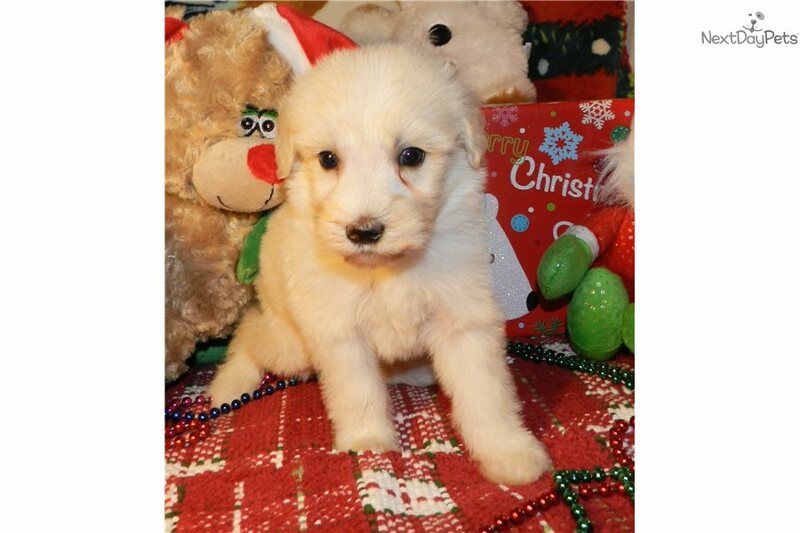 Faith is a Sheepadoodle out of my new litter of 13 beautiful puppies born on October 13th. She is NON-SHEDDING & HYPO ALLERGENIC! 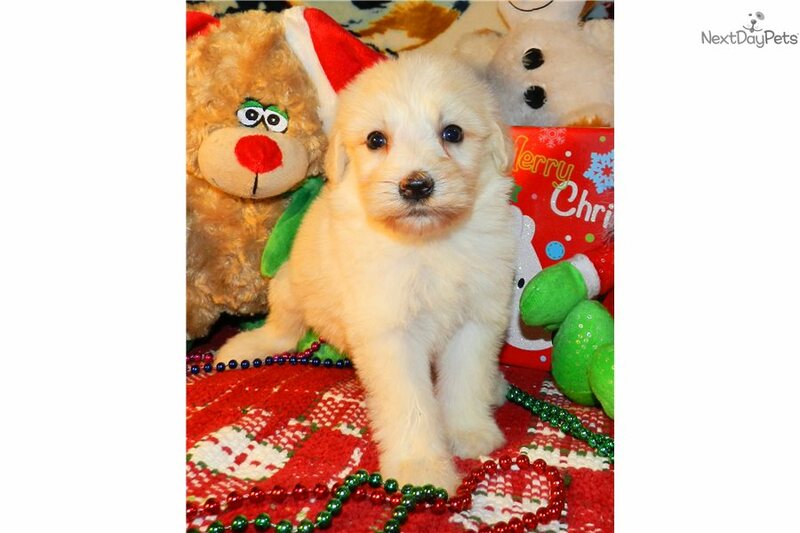 A Sheepadoodle is a cross between a Standard Poodle and an Olde English Sheepdog. 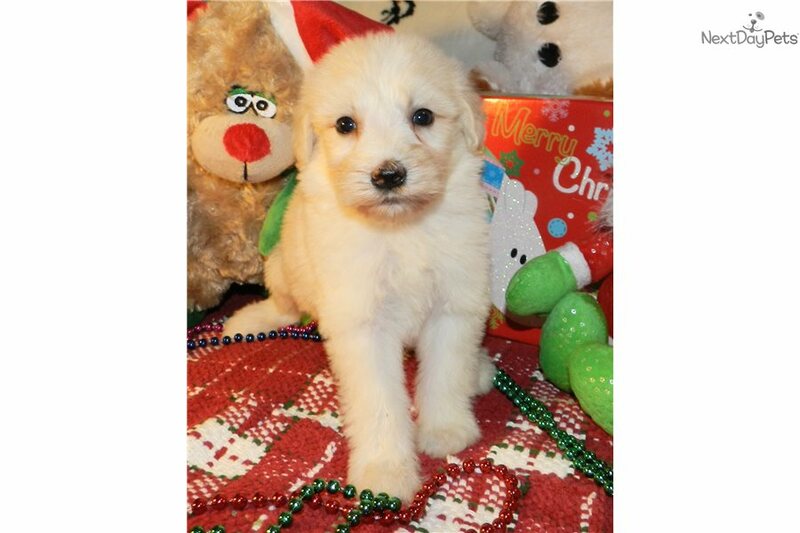 These puppies share the smaller size, refinement, and intelligence of the Standard Poodle with the quiet, gentle, outgoing nature of the Olde English Sheepdog. 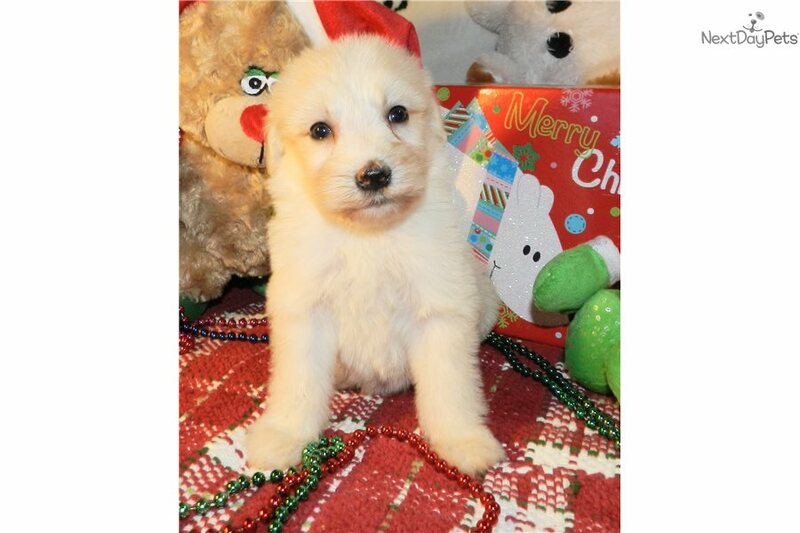 Faith will be non-shedding and hypo-allergenic, as both parents have these qualities, with a soft, wavy coat. 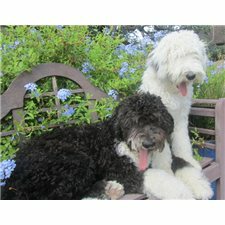 Sheepadoodle are excellent for anyone who suffers with allergies and who want to minimize pet dander. Both of Faith’s parents are AKC & ACA Registered, my family pets, and have awesome personalities that they pass down to their puppies. Her mother actually works on my farm. Faith passed her Veterinary Exam with flying colors!! Her tail is docked and her dew claws removed. 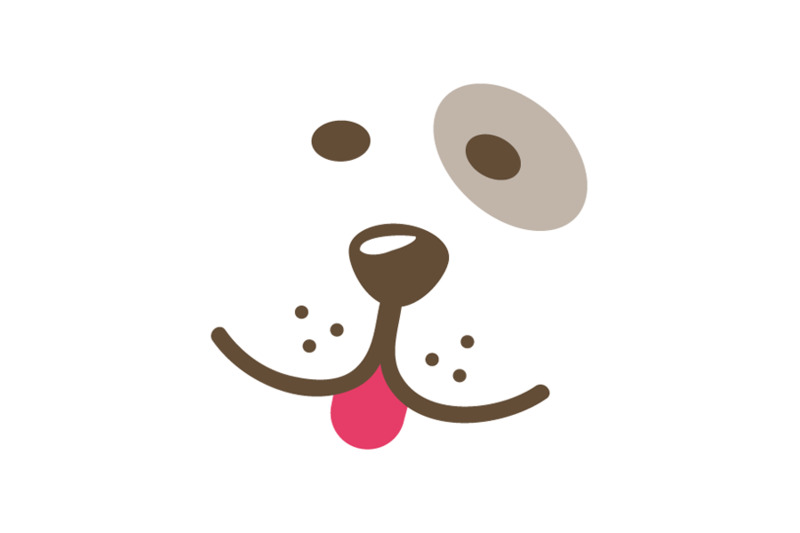 She is a very happy, healthy ball of fur who is full of puppy hugs and kisses! Faith is ACA Registered and comes with complete papers. Faith is just too cute for words!!! 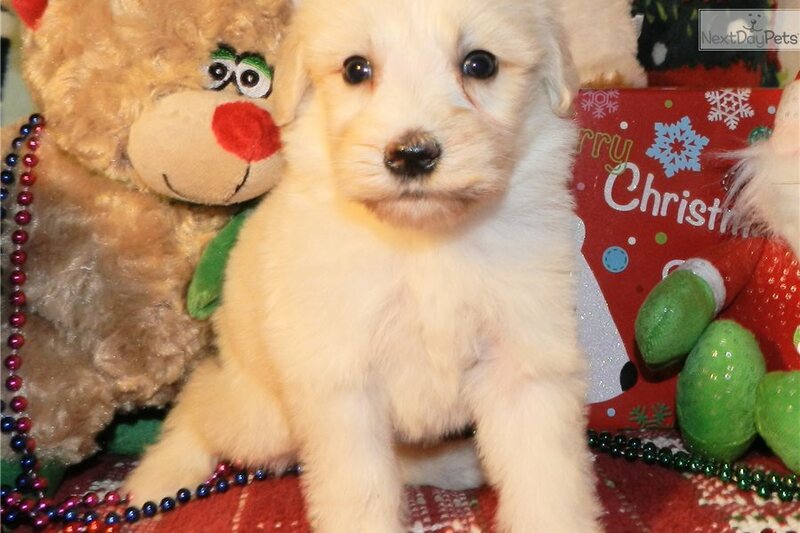 She will make a wonderful addition to any family. Faith comes with a 1 year Health Guarantee against birth defects. Faith will be current on her worming and vaccinations and will receive a veterinary examination, negative stool sample, and Certificate of Health before leaving my state licensed home. Faith is a wonderful eye catching little companion! 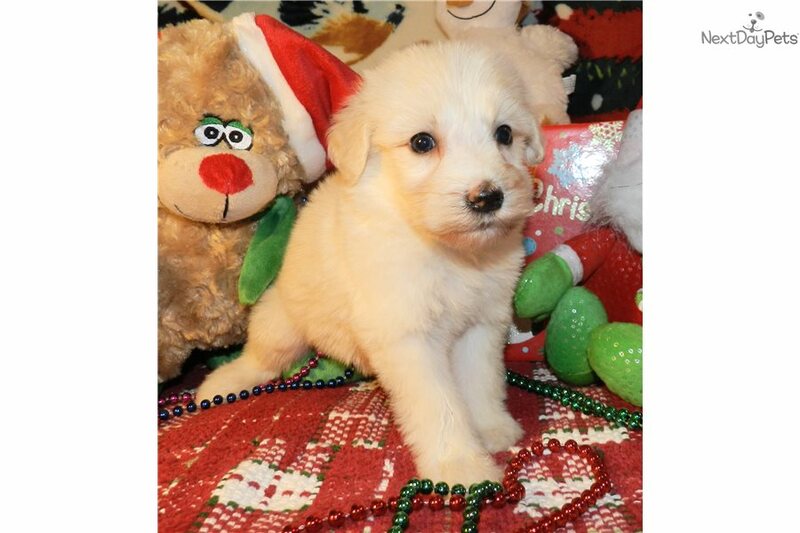 If you would like to be placed on my waiting list for this outstanding puppy, please contact me immediately. These puppies won’t last long and are in great demand. 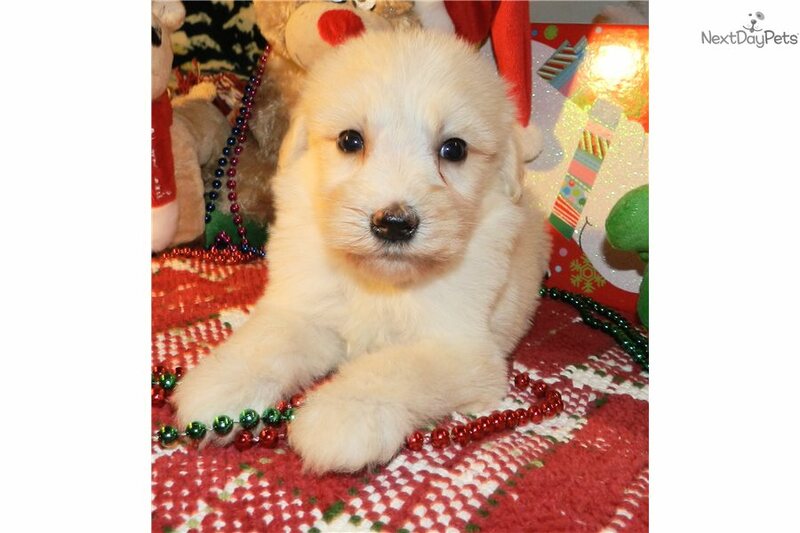 TAKING DEPOSITS NOW......ONLY 10 OF THESE AWESOME BABIES STILL AVAILABLE!! If you need any additional information or have any questions about Faith, please feel free to contact me anytime. Expert Shipping is available.